The head of the CAQ, François Legault is proud to announce the appointment of Mrs. Sonia LeBel at the position of deputy chief of staff to the cabinet of the Second Opposition Group Leader. She was assigned by Mr. Legault the special mandate to fight corruption. The former lead counsel of the Commission of inquiry on the awarding and management of public contracts in the construction industry, has more than 20 years of experience as a Crown prosecutor at the Director of Criminal and Penal Prosecutions of Quebec. She holds a bachelor degree in Law from the University of Montreal. During the days of the Charbonneau Commission, she set herself apart by her tenacity, her righteousness and her sense of integrity, stressed François Legault. “Mrs. Sonia LeBel dedicated her life to justice. She has a deep knowledge of the mechanisms of collusion and corruption and also of the Quebec justice system. Her will to pursue her public service in politics shows her great sense of commitment. Her arrival at the CAQ constitutes excellent news for the entire province” declared François Legault. As the deputy chief of staff to the second opposition group, Sonia LeBel will be tasked to elaborate a series of proposals aiming to fight corruption. A government of the CAQ would put in practice those measures after gaining power, in October 2018. “Her arrival at the CAQ sends a strong signal: the CAQ wants to make of Quebec an example of integrity. 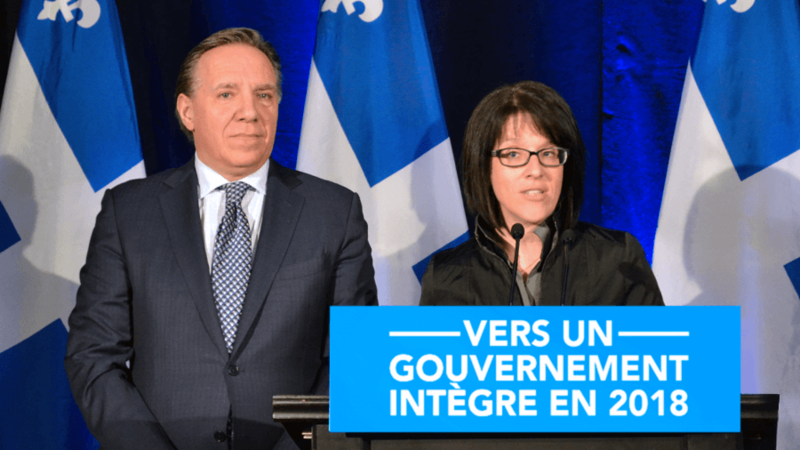 We want Quebecers to regain their trust in their institutions” continued François Legault. Sonia LeBel, for her part, made clear that she is determined to defend at François Legault’s side, the same values of justice and equity she held during her entire career in the justice system. “The Quebec can do better to fight corruption and collusion. I really don’t want the work of the Charbonneau Commission to be buried and that we regress to the prior state. We have to go to the end of the process undertaken” affirmed Mrs. Sonia LeBel.